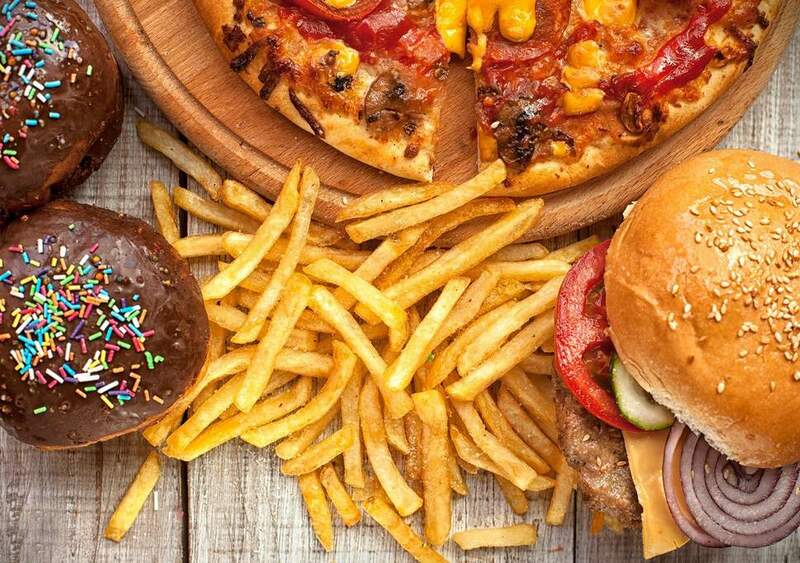 Avoid junk food in favor of health-Junk Food is fast food unhealthy for consumption. What kind of food is very popular, it may be due to an attractive look and is regarded as a trend. A very busy workers definitely prefer junk food as a snack because it is quick and easy to come by. Students are also doing so, the food they consume is often merely want the same with his friends only. They ignore their health and do not know the composition of the junk food. All types of foods that have a low nutritional value and contain a high fat, salt (sodium), and sugar is called with junk food. 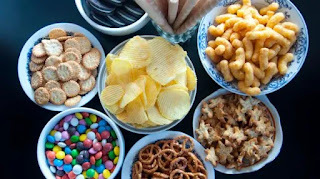 Types of food junk food can be found in snack foods such as potato chips, cheeseburgers, French fries, and other fried foods. Excessive salt as chips and canned food is not good for the health of the body because it can cause high blood pressure. But salt in moderation when joined with potassium can be useful to keep the balance of water in our body. Junk Food if eaten too often will impact less well on your health. Some of the problems caused due to eating junk food, anata other obesity (excess weight), diabetes, heart disease, and arthritis. Junk Food or processed foods that are processed by the way fried contains many oxycholesterol. Oxycholesterol is a type of harmful cholesterol against cardiovascular health. 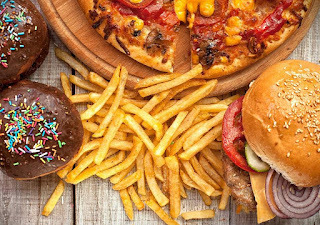 Avoid junk food for the sake of your health. Eat dishes that you cook yourself, in addition to the net amount and composition, you can adjust. Eat regularly with healthy food and make it a habit of breakfast in the morning. Drink a lot of water because it can withstand hunger so you don't have to buy junk food just to hold off hunger. Expand your reference about how to make a delicious and healthy food at home, interesting Setup you can invent yourself without having to by eating junk food. This can be obtained by purchasing food recipe book and ask your friends or family, or a cooking course. If you want to mengemil then we recommend you consume fruits, low-fat soup, or wheat crackers. Look for as much information as possible about the negative impact of junk food. This will relieve your passion or hobby familiar with snacks of junk food. Start exercising regularly. Exercise will stimulate the endorphins that will help the body's circulation. By exercising you will have little time to eat. Appetite control against yourself and create an atmosphere that supports your efforts in avoiding the consumption of junk food. Make your own food other than healthy, also minimize your financial outlay. Good luck. Belum ada Komentar untuk "Avoid Junk Food For The Sake Of Health"